In 1665, British scientist Robert Hooke peered through a microscope at a paper-thin slice of cork and saw it was “all perforated and porous, much like a Honey-comb.” He named the structures “cells,” and revolutionized the study of life on Earth. Later discoveries proved that cells are the building blocks for all living things, from microscopic bacteria to human beings. Although cells can take on innumerable shapes and functions within an organism, they all perform the basic roles of energy absorption and production, cellular maintenance and reproduction. Without cells, life cannot exist — albeit viruses, which lack cellular structure, imitate life by invading host cells to replicate. Through the process of evolution, cells have developed into two categories based on the way their innards are packaged. Cells with a jumble of DNA and cytoplasm, but no nucleus, are called prokaryotes. These primitive structures are seen in single-celled bacteria and some single-celled organisms that can live in such extreme environments as deep-sea vents. Eukaryotes are more complex cells that contain DNA in a nucleus partitioned from its cytoplasm. All plants and animals are made of eukaryotic cells. All cells contain similar organic molecules, essential for life functions, encased in a watertight cell membrane. Inside, a gel-like substance called cytoplasm houses structures containing nucleic acids, proteins, carbohydrates, and lipids. The nucleic acids DNA and RNA store the genetic code that allows the cell to live and replicate. Cellular proteins, in the form of amino acid chains, serve many roles — enzymes, for example, convert molecules into different forms to boost cell performance. Carbohydrates, both simple and complex, provide energy for cell activity. Lipids, or fat molecules, form the cell membrane, store energy and transmit signals from the cell’s exterior to its interior. Some cells also contain specialized structures such as mitochondria, chloroplasts in plants, and ribosomes. These structures are called organelles. Everything within a cell has a specific role to play in the organism’s growth. A cell is the basic unit of life, essential to maintaining the physiology of the larger organism. In animals, certain organelles metabolize food into energy, and then uses the energy for repair, growth and reproduction. 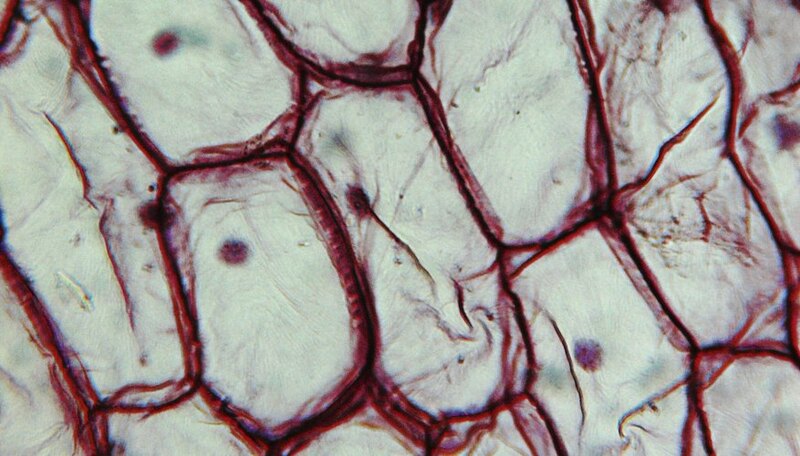 Similarly, chloroplasts in plant cells transform sunlight into energy, a process known as photosynthesis. A unicellular organism consists of a single cell that performs all of its life functions. In complex organisms, like plants and animals, billions of individual cells band together to form tissue, bones and vital organs and accomplish different jobs: send signals to the brain, grow new bone after an injury, or build muscle from exercise. Viruses are infectious agents consisting of a nucleus of genetic material inside a coating bundle of protein, called a capsid. They can replicate only within a host cell; when the capsid lacks a host, it is metabolically inert. Because non-cellular viruses can’t reproduce on their own, most scientists consider them less than alive. Yet, as genetic entities with a biological origin, viruses imitate live organisms by infecting a host’s cells, inserting their DNA or RNA, and taking them over. Microbiologists and virologists continue to debate the degree of life exhibited by viruses. Scitable: What is a Cell? Long, Kat. "Why Are Cells Important for Living Organisms?" Sciencing, https://sciencing.com/why-are-cells-important-for-living-organisms-12251197.html. 06 October 2017.